Yellowstone National Park is in the midst of back-country ski heaven. World Famous Teton Pass is just an hour to the south but that isn't the only place around to get a wealth of back-country powder. This semi arid region retards the growth of forests on it's southern slopes which provides a multitude of open bowl skiing opportunities throughout the region. Backcountry skiing means off the beaten track, so how do you get to the backcountry? If you're an extremist, then you'll set off under your own power from Greater Yellowstone's many hundreds of trailheads toward a snow-covered crag. However, this is not a decision to be taken lightly – the terrain can be dangerous if you are inexperienced or ill-prepared. Gearing Up • Some skiers shove their feet into regular ski boots, strap their alpine skis to their pack, and slog uphill to grab a shot of snow. But that gets old fast. Modern backcountry skiing gear, which is otherwise known as randonee (pronounced "ron-doe-nay") or alpine touring gear (known as AT), lends itself to hiking. It's very lightperforms some quick math to calculate that, depending on the brand, randonee gear weighs 30 to 50 percent less than resort skis, boots and bindings. If you're going uphil lthat all translates to more energy saved.Randonee or AT gear is designed to for skiers to climb steep hills and ski rugged terrain. Contrary to telemark gear, alpine ski turns transfer to the backcountry on these skis and bindings with no new techniques to learn. You will, however, shell out around $2,000 for skis, bindings, boots, beacon, probe, shovel and skins. While any ski works with a touring binding, most backcountry skiers go for boards that are fat for flotation and lightweight to save energy climbing. 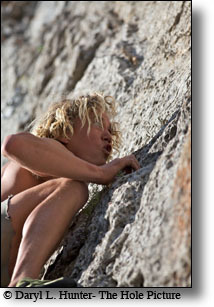 Teton Pass • (Jackson Hole) Interested in maximum vertical with minimum approach? Try Teton Pass. 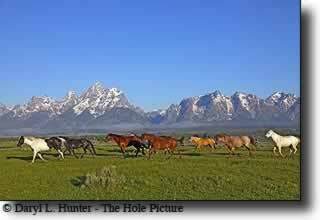 Teton Pass is a popular backcountry skiing destination outside of Jackson Hole Wyoming and Teton Valley Idaho. You can easily access this area by driving west on hwy 22 from Jackson Hole or west on hwy 33 from Victor Idaho. Towgotee Pass • (Dubois WY) Towgotee is a region more than just a pass and the whole region provides many skiing opportunities, many touring and some backcountry downhill. Towgotee Pass receives over 600 inches of snow annually and there are many around the touring areas I include where you can bushwhack some good downhill turns. Hyalite Canyon • (Bozeman Montana) Hyalite Recreation Ares is quickly becoming a very good backcountry skiing resource around Bozeman. The Blackmore and Grotto Falls trailheads will lead you to great skiing. Another option is the History Rock trailhead. The short approach and smallish open meadows means it may get tracked out faster but it's great for a few quick runs. This is a busy back country destination so it is best to arrive early. Also, it's a long way to Blackmore Peak so consider arriving as early as possible and doing a few laps on the actual face. 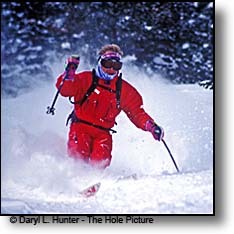 Bridger Bowl Backcountry • (Bozeman Montana) Bridger Bowl is world-renowned for its fantastic terrain and great powder. Bridger is unique in that it offers vast amounts of steep, backcountry terrain accessible to those with a beacon, but within the ski area boundaries. Skiing the Bridger Ridge is more accessible, especially since the addition of Bridger's newest amenity: Schlasman's lift, which carries skiers to just below the Bridger ridge. Beyond the Grand -- The life of America's Most Influential Ski Mountaineer - Bill Briggs Biography By Louis Dawson • Bill Briggs gulped from his water bottle, laced his boots, and clicked his ski bindings. 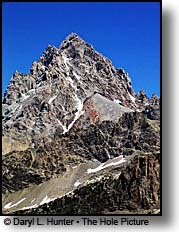 Standing at the apex of Wyoming's precipitous 13,770-foot Grand Teton, he caught his breath and took in the view. To his east, the Gros Ventre mountains rose from the haze like a Tolkien fantasy, while the plains of Idaho faded two hundred miles west. Below his feet, snow like a steeple roof dropped thousands of feet to the chasm. 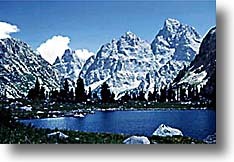 Briggs plan was to slice turns on that snow -- to be the first to ski down Grand Teton. On that day of June 15, 1971, as his skis carved arcs down to Garnet Canyon, his goal became reality. 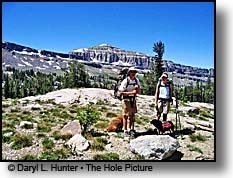 By David Noland • LEANING wearily on our ski poles, the three of us stood at the crest of Beard Mountain, a smooth, rolling, 10,500-foot summit in Wyoming's Jedediah Smith Wilderness. 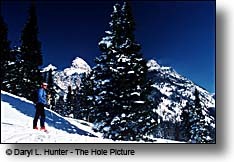 My friend Ted Buhl, an accomplished back-country skier, grinned like a madman in anticipation of a dream run: vast expanses of feathery, untracked, knee-deep powder and a brilliant blue sky with the jagged peaks of the Grand Teton Range as a backdrop. Best of all, there was not another human being within miles -- a just reward for the grueling four-hour climb on skis from our camp in the valley below. I, on the other hand, could manage only a tentative smile. A novice back-country skier, I was a long way from the gentle, packed cross-country ski trails I'd happily shuffled along for years near my Hudson Valley home. I suspected that my usual technique to avoid oncoming trees -- fall down as quickly as possible -- might not suffice here. "Just stay crouched and bounce up and down a little to get a feel for the powder," said our guide, Glenn Vitucci. "You'll be fine." By Louis Dawson • Aspen, Colorado. For myself and John "Izo" Isaacs, the morning of February 19, 1982 dawned clear, calm and filled with excitement. At 3:30 AM we strapped climbing skins to our skis, and began the long climb via the Highlands Ski Area to the summit of Highlands Peak. We intended to ski Highland Bowl, the stupendous amphitheater formed by the north and south ridges of the peak. Hundreds of avalanches fall here each winter. 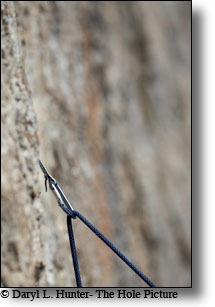 Most of these grind to a halt on the low angled "flats" midway between the summit and valley. But during heavy winters, monster slides roar almost a vertical mile to the valley floor. 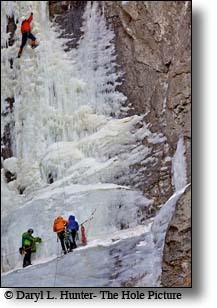 By Lou Dawson • Climbers and skiers die every year from sliding falls on snow. 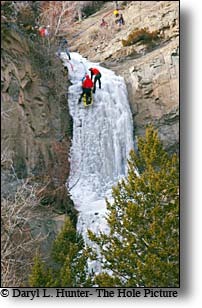 Thus, no discussion of safe snow climbing and steep skiing would be complete without a review of the self arrest -- the time honored method for stopping such falls. Bridger-Teton National Forest Avalanche Center • Official home page for the Bridger-Teton National Forest Avalanche Center. Avalanche advisories are updated daily around 7am from early November to late April. 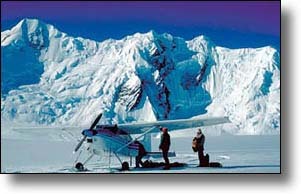 www.csac.org - The Avalanche Center • The CSAC Snow and Avalanche Center provides global snow avalanche information. It is a comprehensive source for current conditions, education, incident reports, and more. 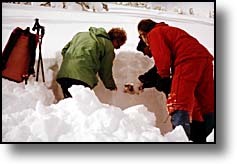 Jackson Hole Snow Observations • This site is meant to be a public forum in which backcountry users can share observations of avalanche activity and snow-pack conditions. By recording snow and avalanche Information , we hope to create a database that will allow users to track weak layers and avalanche cycles throughout the year. In addition, the Weather Summary can help you track changes to the snow-pack as they occur. If you find value in viewing these observations, please help perpetuate the site by contributing notes from your next tour. There is no technical standard required for submitting observations, however, we do ask that users adhere to our site guidelines when scoring stability tests. Rendezvous Ski and Snowboard Tours • Established in 1986, Rendezvous Ski and Snowboard Tours operates three backcountry ski yurts high on the western slope of the Tetons near Jackson Hole and Grand Targhee Ski Resort. Our huts provide access to the Jedediah Smith Wilderness Area and Grand Teton National Park, where over 500 inches of legendary light, dry powder snow falls each winter. A variety of terrain from high mountain ridges and broad, low-angled powder bowls, to the steep and deep combine to make some of the best backcountry ski terrain in the lower 48. Exum Mountain Guides • Exum offers group and private avalanche training, alpine and nordic ski tours, and ski and snowboard descents of the remarkable mountains of the Teton area. You will gain basic avalanche awareness, improve your skiing and snowboarding technique, and practice the use of avalanche rescue transceivers. Technical skills, such as steep skiing, rock and ice climbing, and rappelling are practiced during ski and snowboard mountaineering trips. Yellowstone Expedition • Let us show you the finest way to experience a true Yellowstone winter, at a cross-country skier's pace from the Yellowstone Yurt Camp. 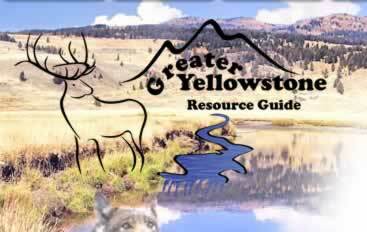 Join our certified back country ski guides to explore the Yellowstone backcountry. Our multi-day cross-country skiing excursions are based from the comfortable Canyon Skier's "Yurt Camp" located only one half mile from the Grand Canyon of the Yellowstone. Hellroaring Ski Adventures • Hellroaring Ski Adventures will help you create the adventure of a lifetime. 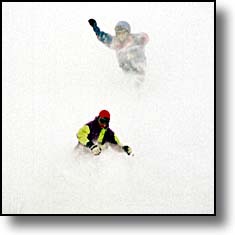 Touring, Powder Skiing / Riding, Ski Mountaineering, the Extreme. Let us know what your dreams are and we'll make it happen. Montana Backcountry Alliance • Montana Backcountry Alliance was formed in 2005 to build an organized community advocating for traditional, human-powered winter recreation. We have commented as a group and individually on forest service management plans, held ski movie premiers, and helped conduct citizen monitoring projects. We intend to build on our success and further strengthen the traditional winter recreation community by advocating for specific non-motorized areas with reasonable access for human-powered recreationists. The motorized lobby is powerful, organized, and well-funded. But we are motivated and dedicated to establishing a strong voice in this important debate. We are also hopelessly addicted to skiing and riding, and will be busy enjoying the wonderful opportunities Montana offers in the winter. Get out and enjoy them too! 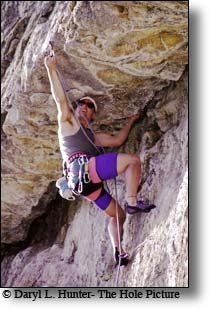 Montana Mountaineering Association • Montana Mountaineering Association promotes the values of rock climbing, mountaineering, ice climbing and backcountry skiing by offering a variety of instructional programs. 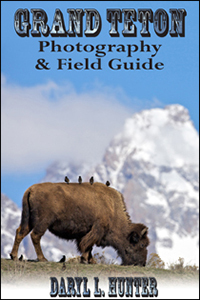 These diverse programs are taught by an incredibly qualified instructors and guides. We offer individual and group instruction in our local mountains around Bozeman Montana with one of our programs extending to the Andes of South America. Our goal is to give prospective alpinists the tools they need venture out on their own, whether it be mountaineering, backcountry skiing, ice climbing, or rock climbing.